Back in the mid-70s, when I was about 11 or 12, I used to collect literature on electronic organs and synthesizers. I’d mail postcards to manufacturers, and in a few weeks, (usually) get a big envelope full of brochures. I sent one postcard to EMS in England. I received a large envelope addressed to “Mr. Charles P. Hobbs, Esq.” That was very impressive back then. 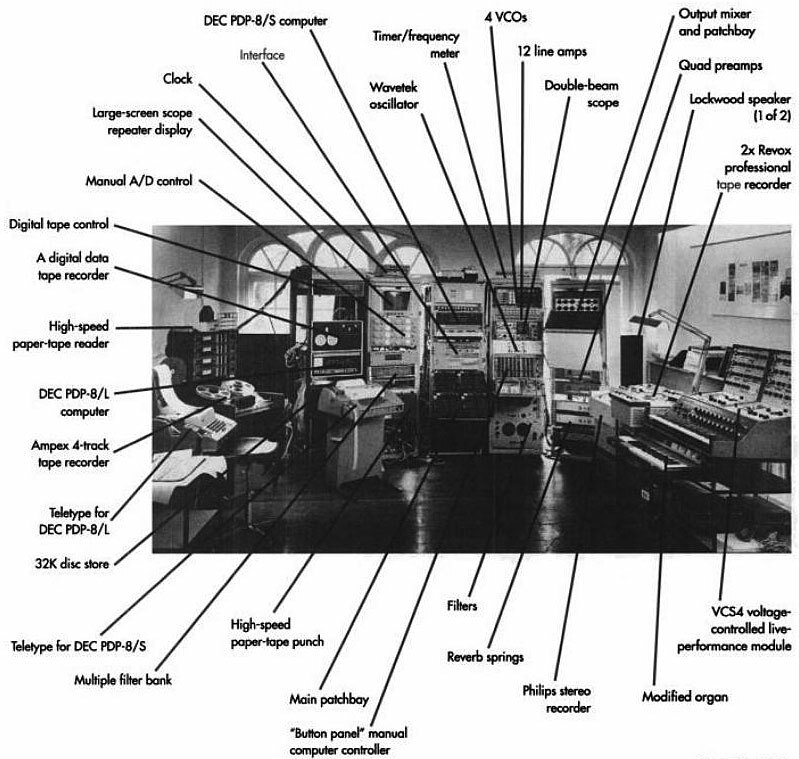 Inside was the literature about the synthesizers (shown on this page) and a very nice letter from an official of the company. (They did not have a U.S. sales office at the time–as far as I know they never did). I pinned the letter to my bedroom wall, where it stayed for a year or so. The studio was Co-owned by the Flemish Radio and the University of Gent. 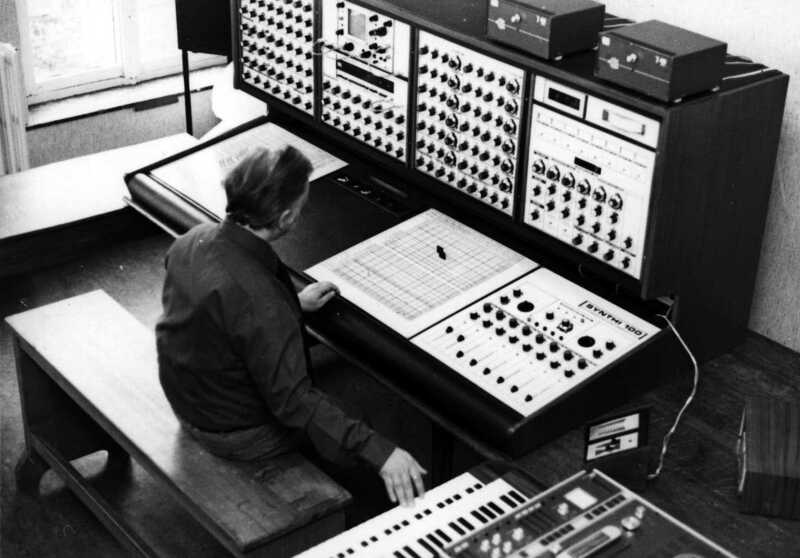 The synthi 100 still exists within the university but is not longer actively used and needs service. Amongst others composers Lucien Goethals and Karel Goeyvaerts were working and drinking lots of coffee at that studio. The iVCS3 is a completely brilliant product. After experimenting with it, I once again became very pleased with my original invention of this “synthesiser without leads”, in those early days I hated patch leads and hated cutting tape! I also began to see how slick and easier to control this iVCS3 is than the original and how many brilliant added features there are. 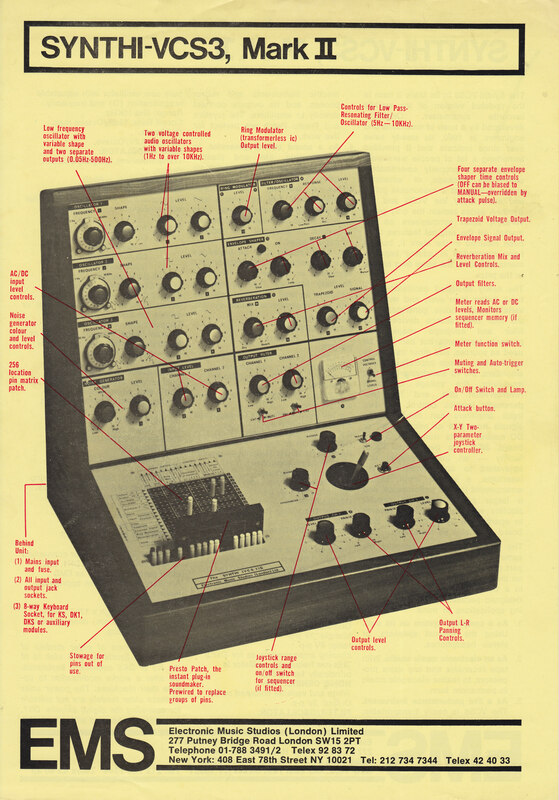 Originally my aim was to have all the ingredients for a completely basic electronic music studio in a box and this became the VCS3. 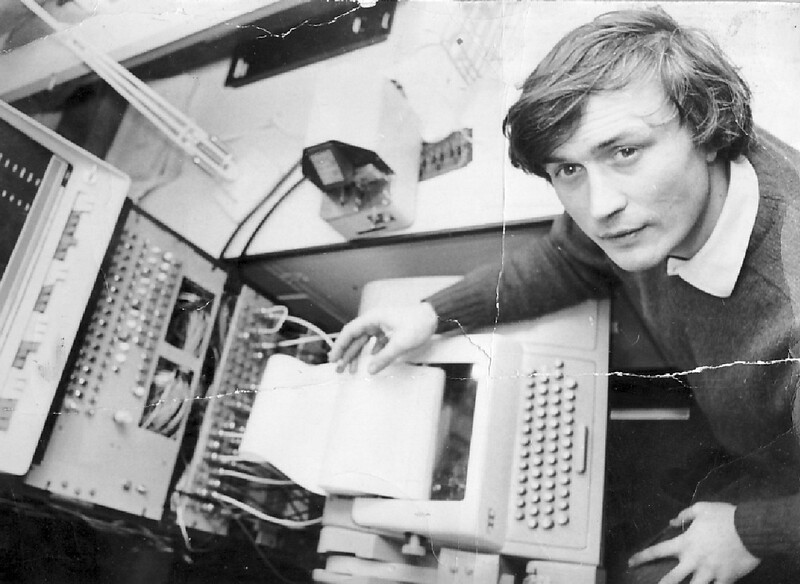 I decided what the hardware would be, David cockerel then wonderfully engineered my dreams and Tristram cary designed the actual VCS3 box. 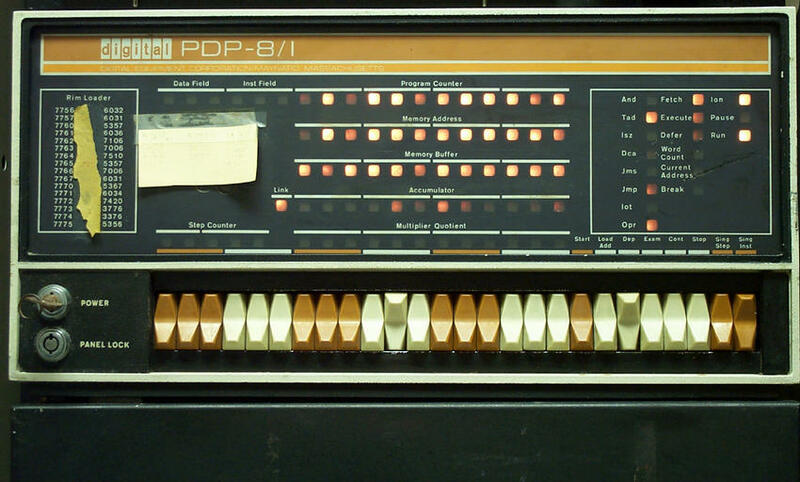 It was only later that we added a keyboard and made a separate digital sequencer. 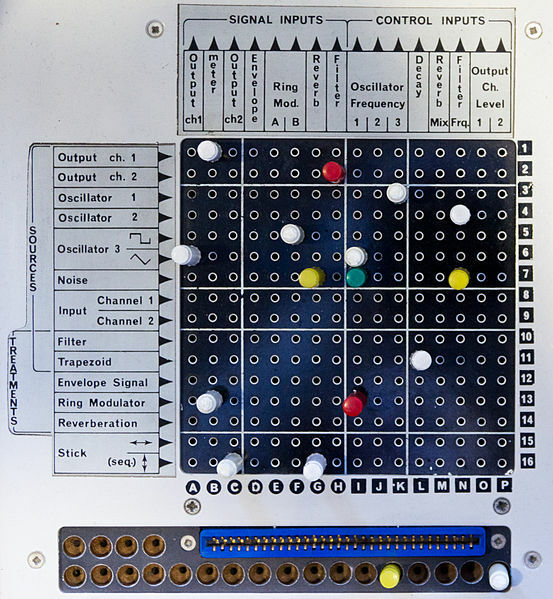 Here in the iVCS3 is a truly useful instrument and the fact that it uses the VCS3 as an inspiration is just wonderful for my ego! It is perfectly thought out, superb graphics and a simple to use interface. Personally I cannot criticize it in any way. To cast myself completely back to the 1960’s I would like to see a couple of random voltage generators developed next year an add-on module. 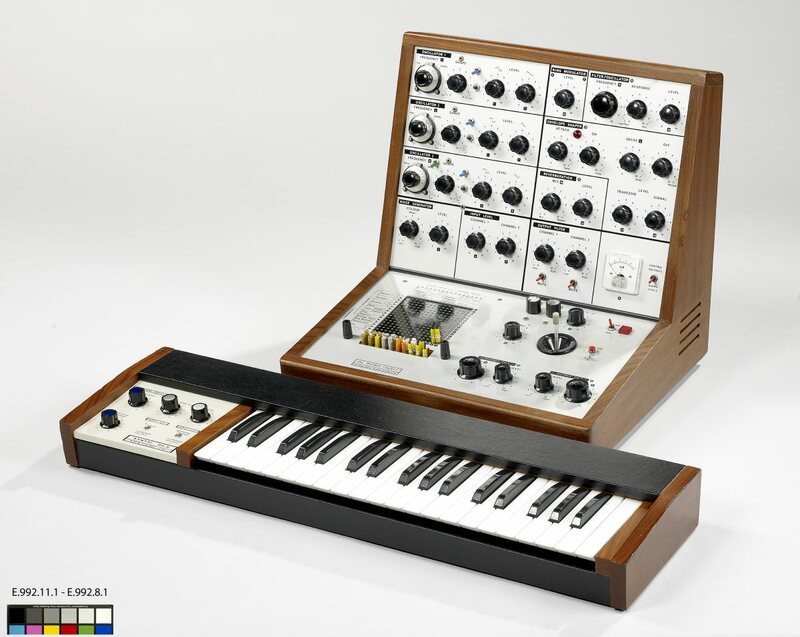 iVCS3 is available now for iPad and for less than €20 anyone can experience VCS3 sound design in a truly portable form!